This winter we have just enough with snow. It is white and beautiful, and my dogs love to play and run around in the snow. They are having a great time and it is so fun to see them so happy. These look great! I live in Melbourne (obviously summer right now), but in winter it only snows a little in the mountains, I’ve only seen snow twice, so for me these photos are almost mythic. If you click on my tag “winter” you can see a bit more if you like. Thank you very much for stopping by, and for your kind comment, most appreciated! Lovely pictures, especially the second image with the juxtaposition of your dark-haired dog against the white snow and towering trees! Thank you very much! I’m so glad you like them. Beautiful! 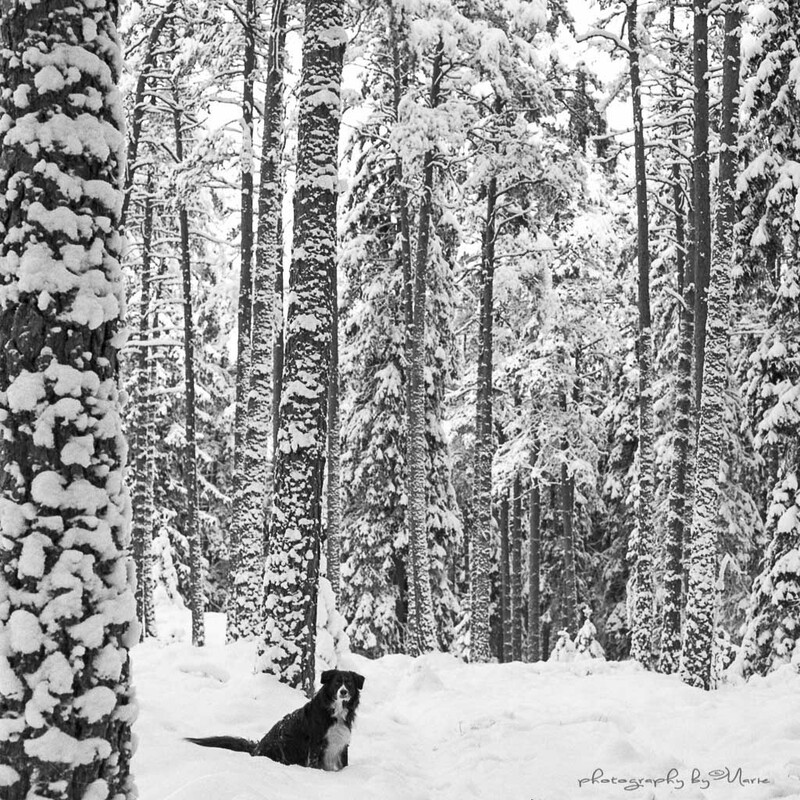 There’s something very compelling about snowy scenes in black and white, they’re one of my favorite subjects to shoot. Marie, I am jealous of your snow. We have had very little so far this winter. You photos truly capture your dogs enjoying themselves in the snow. I sure can relate to the dilemma your dogs had last year as being stuck to the path would make me a bit unhappy as well…it’s fun to wander. Have a great day. Thanks Mike, and have a great day you too. Yes, that is absolutely an issue… But otherwise, they love it! Simply love the first shot. 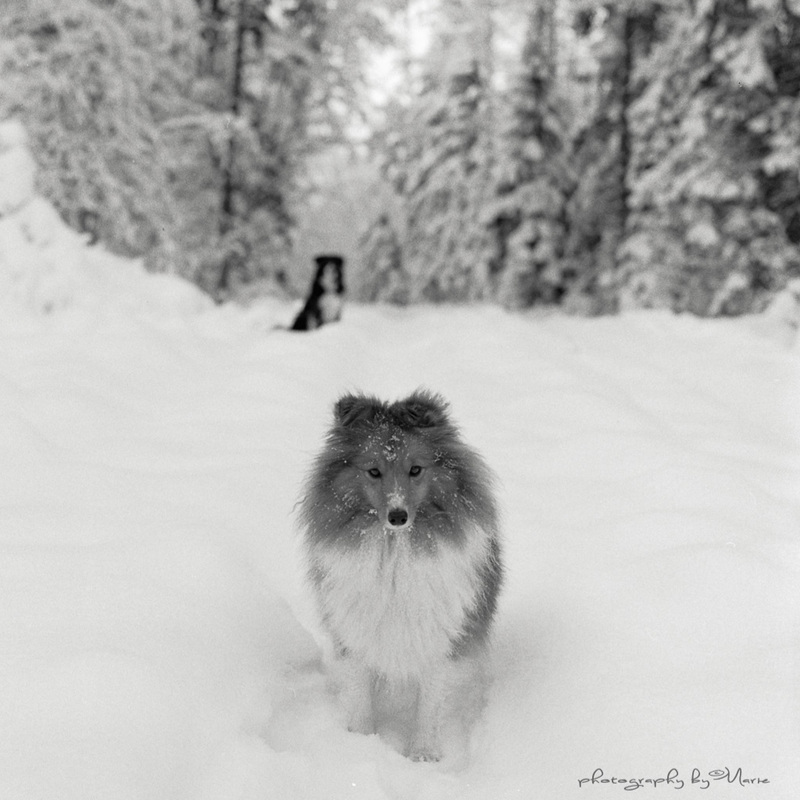 Beautiful winter pictures and lovely dogs. beautiful photos and your dogs are so lovely!!! !